The Zawtika gas development project, operated by PTTEPI, is located offshore Myanmar in the Moattama Basin, approximately 300 km south of Yangon. A cased-hole gravel pack (CHGP) completion design was implemented for the first time in PTTEP during Phase 1A of Zawtika, which took a more conservative approach due to the criticality of the project’s success. Since the CHGP completion design proved successful in Phase 1A, operational efficiency improvement became a main target of Zawtika Phase 1B. To implement a step-change in the batch completion strategy, which was used in 1A, a new concept called Factory-Batch CHGP Completion Strategy was developed. This involved comprehensive job planning; a semi-permanent pumping package rig-up concept; fit-for-purpose and robust design of completion equipment; living standard operating procedure (SOP) documents; full implementation of simultaneous operations (SIMOPS); and effective capture and sharing of lessons learned. By implementing all of these factors, CHGP completion time and cost of Phase 1B was reduced by more than 67% compared with Phase 1A. 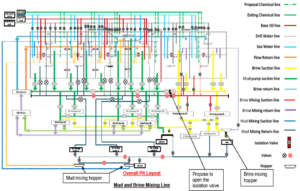 This article summarizes the fundamental conceptual approach and detailed features of the Factory-Batch CHGP Completion Strategy. 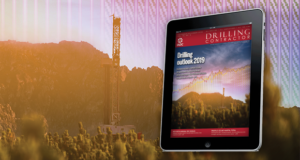 Pumping equipment can require more than 1,200 sq m of space, but typical tender rigs in the market are not designed to maintain such a large-footprint equipment spread while allowing drilling activity to continue simultaneously. To overcome this challenge, the semi-permanent rig-up concept was developed. The equipment was to be spotted onto a purpose-built deck sub-base template, locked down and secured on the tender. 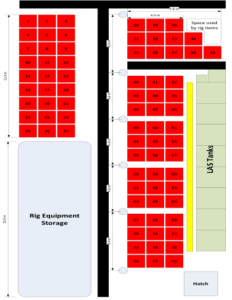 Because the typical equipment layout proposed by the contractor could not fit into the barge allocated area and could not meet the objectives of the semi-permanent rig up, installation specialists from the US were brought into the project to achieve the objectives within the time allocated and without compromising safety. 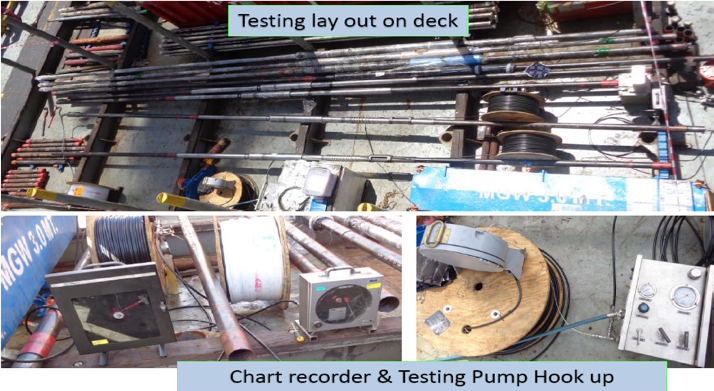 Rig surveys were conducted and reviewed to find the most efficient way and the most suitable location for rigging up equipment for various services to enable the Factory-Batch CHGP Completion Strategy. Sufficient time and dedicated effort in detailed engineering of every single item related to the operation during the planning phase laid a solid foundation; it was a critical success factor. Harsh environments and severe conditions were key factors considered during the sub-base engineering design, with equipment movement during rolling and pitching being the most hazardous. 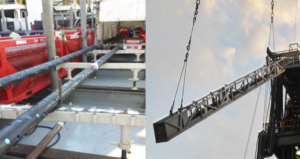 The conventional way of sea-fastening to secure heavy equipment from movement during rolling and pitching of the tender barge requires welding on the rig T-beam; however, a weldless system was implemented using a sub-base lockdown system. The container deck socket, twist lock system and T-beam clamp were implemented in Phase 1B for locking down pumping equipment to the sub-base platform installed on the tender’s deck. 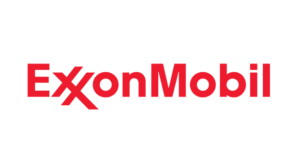 To fully utilize the limited deck area, an engineering study checked the feasibility of installing 2,000-gal acid transport tanks on top of the frac tanks. The sub-base structure and twist lock system were designed to allow safe and easy installation of the eight acid tanks on top of the 4×500-bbl frac tanks. To minimize slip/trip/fall hazards due to climbing at height to the frac tanks during barge rolling, the conventional vertical ladder was replaced with a modification/fabrication of the rig walk way. The rig walk way was also installed to connect the acid platform to the top of the blender. 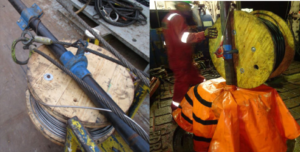 To implement the semi-permanent rig-up concept, the low-pressure hoses supplied with the typical pumping package were replaced by specially designed low-pressure hard line pipings of suitable material for all corrosive fluid transfers. 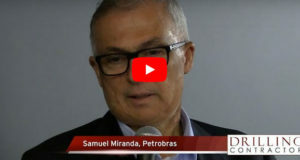 A high-pressure treating line is mandatory during the pumping operation with the conventional rig-up approach of high-pressure treating line from the tender barge to the rig floor proposed by contractor. However, it was identified as a high-potential risk in consideration of dropped objects and potential leak path. The Coflexip hose and fixed stand pipe concept was introduced in Phase 1B. In addition, a newly designed V-door Coflexip hose hanger was fabricated to prevent damage to the Coflexip hose during rig skidding. The conventional high-pressure choke manifold is normally available in the horizontal configuration, which requires a large footprint. Due to limited space on the rig floor, a vertical choke manifold concept was implemented. 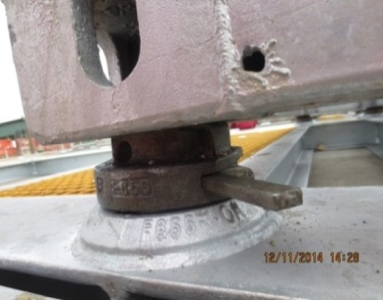 The vertical pad eye lock with pin, slot and bracing for securing it to the rig structure was fabricated to secure the vertical choke manifold to the rig structure safely and securely. The location of the filtration unit was another big challenge. 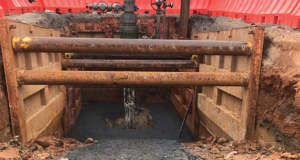 By cooperating with the drilling team, the centrifuge package had to be removed after completion of the final section of the well. The brine filtration unit was to be installed utilizing the same lines as the drilling mud system. By this concept, the 100-micron and 2-micron dual pods filter and DE filter units can be installed on the centrifuge deck. However, the centrifuge deck was not only accommodating the filtration system alone; the jumbo TCP explosive bunker was also planned to be installed in the same area. Thus, a comprehensive finite element analysis (FEA) was conducted to verify centrifuge deck loads during both normal and severe weather conditions. It confirmed that the centrifuge deck could withstand all load cases without any bracing requirements. The tender rig used in Phase 1B had eight mud pits, four brine pits and one slug pit with nine liquid added (LAS) system tanks. 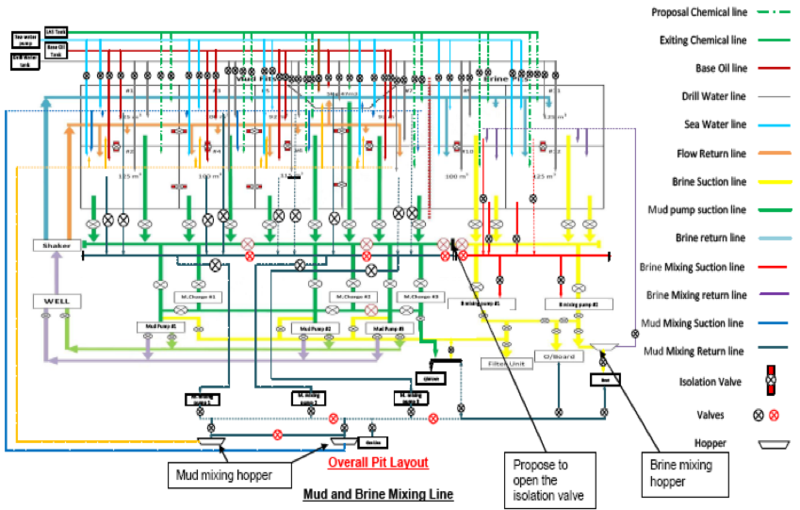 A comprehensive pit management plan is required to allow using the tender pit system for storing cleaned-filtered brine for the pumping operation. A fluid engineer had to perform site surveys to understand the whole pits, line system and ability to utilize them to improve operational efficiency. This involved mud pits cleaning, brine mixing management and sack room management to minimize the deck space. Hydraulic disconnect is the conventional way to release the Coflexip hose between the platform and the tender in an emergency situation. It is easy to release, but it is a time-consuming operation to retrieve and reconnect. 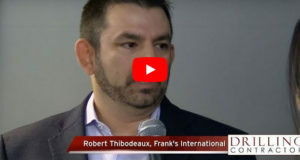 To overcome this challenge, a mechanical release system was designed to be more reliable and more efficient in releasing/reconnecting the Coflexip hose in both emergency and planned situations. The system can release and reinstall within 3.5 hrs. The distance between the Zawtika field and the supply base at the Ranong port in Thailand was another logistical challenge. A vessel trip would require approximately five to seven days of turnaround time. To have sufficient equipment to support the factory-batch completion operation, a minimum of six sets of 40-ft baskets were required to be stored onboard at all times. Newly designed stackable baskets were able to be stored with the limited desk space. Typical explosive-handling procedures call for gun-loading operations to be suspended during rain. 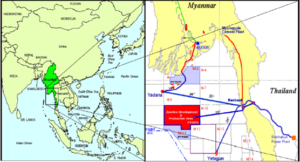 However, the monsoon season offshore Myanmar can last for up to eight months per year. To minimize nonproductive time due to waiting on weather, a dedicated area with crane accessibility and habitat shelter was designed for continuous TCP gun-loading operations. The safe and ergonomic design of the adjustable gun-loading rack and its accessories significantly improved the efficiency in loading the 4 5/8-in. TCP gun. Double-up loaded gun practice was also implemented to minimize time for transferring and making up the TCP gun at the rig floor. A minimum of 20 conventional explosives containers was required to be onboard to allow continuous batch completion operations. To minimize space and limit the number of explosives containers onboard, a jumbo explosives container with a special jettison system was designed. Figure 13 URF electric line unit with turn around sheave wheel. The under rig floor (URF) and offline operations famously practiced in the Gulf of Thailand rigs up the electric line unit at the poop deck (on barge) and rigs up the turnaround sheave wheel with injection head at the BOP deck. A similar concept was implemented in Phase 1B. However, instead of installing the wireline unit at the poop deck, the unit was located under the rig floor. Figure 14 URF slickline dual drum unit. By utilizing the URF crane to rig up the turnaround sheave wheel at the BOP deck, the electric line unit could be utilized to perform CBL logging as an offline operation. Slickline units could also be operated under the rig floor by hanging the sheave wheel to the knuckle boom crane. 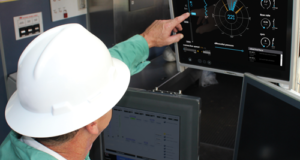 Use of the slickline dual drums unit was mainly for zone change during the offline well cleanup operation. One major downtime event identified during Phase 1A was waiting on weather, due to unfavorable wind directions during the well cleanup operation. 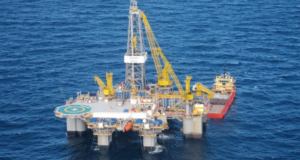 The dual flare booms concept was implemented by having two flare booms installed on the opposite sides of the platform for well cleanup operations when winds changed directions. 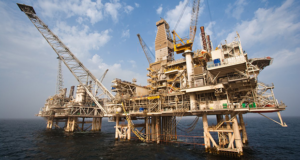 Heat reflective covers were installed to protect electrical wires, solar panels, rig crew and platform production equipment from excessive heat and moisture from the cooling water. The lightweight riser with external test port for offline connection test feature was designed and fabricated. 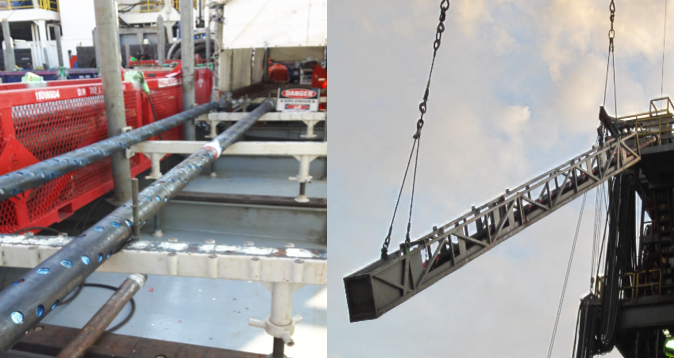 Due to the riser’s light weight, offline installation on the subsequent well could be done by utilizing the URF crane. The external test port feature also allowed offline connection tests without running the BOP test plug, as in the conventional way. 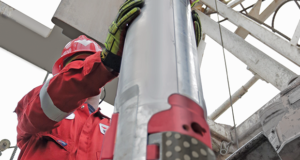 This feature allowed a more efficient use of rig time while rig skidding and was considered a critical successful factor in Phase 1B. 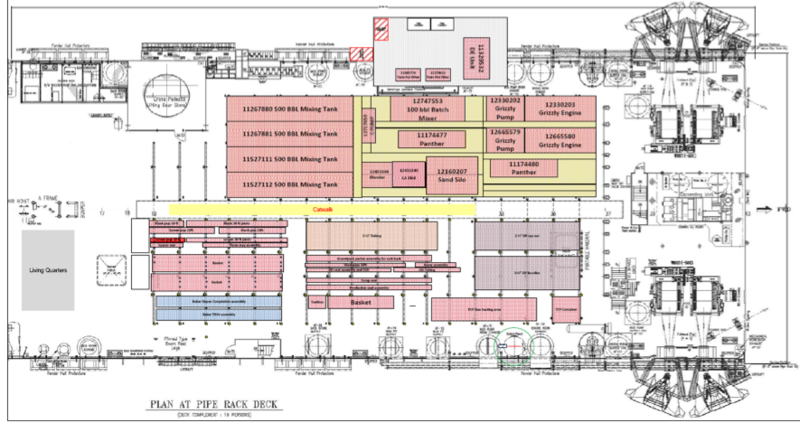 The equipment locations and site layouts on both the tender barge and the platform were reviewed multiple times to find the safest and most efficient location to support the operation. Because of the semi-permanent pumping package concept, installation was conducted during hidden time while in drilling phase. The port side of the tender barge was to be kept free to install the pumping package after the rig performs heavy-lift operations, including the DES package, derrick and BOP stump. This was a time saver during the rig conversion from drilling to sand control operations. 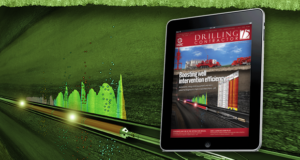 The OAC feature is typically available in new-generation tender-assisted drilling rigs. It allows offline activities for making up tubing and racking back in the driller side fingerboard. 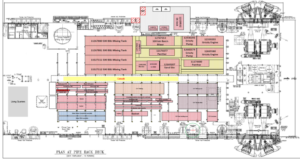 In addition, many BHAs and completion assemblies – gravel pack tool, gravel pack packer, blank pipe, spacer packer, radioactive marker assembly, tubing hanger running/retrieving tool and production packer – can be made up offline and racked back on the rig floor. Another feature of OAC is to transfer racked-back assembly to the mousehole. Thus, selecting a high-performance rig with OAC was considered a key factor for achieving operational efficiency improvements in Phase 1B. 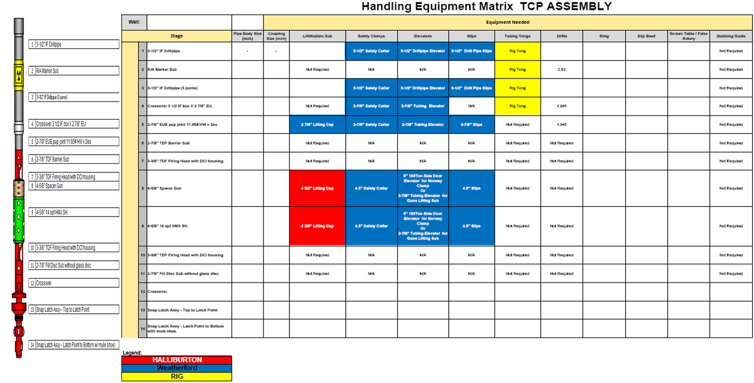 A lifting matrix was developed by the tubular-running service team and the sand control completion team to ensure each party knew the requirements (who provides what). Each BHA has specific lifting gears and are easy to separate by color. During pickup, laydown and rack back, the rig crew, tubular service and completion teams can easily pick up and use for makeup or break off. 5. Were not fully recognized by contractors’ personnel. 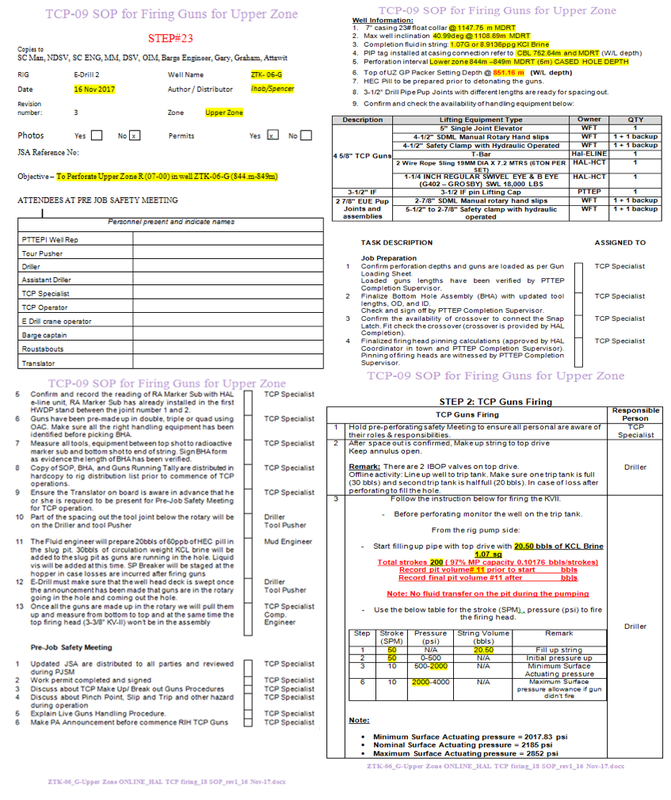 The PTTEPI SOPs were developed as fit-for-purpose documents. The operational steps were broken down into detailed levels containing only related information. 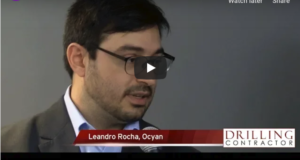 The concept is to ensure that every single operational activity, both online and offline activities, are operated in a safe and controlled condition. Each operational team was responsible for drafting its SOP. The final SOP required discussion of, agreement on and understanding of all the onsite steps with the personnel involved. Sign-off by both contractor and company representatives was also required. Every SOP could be revised as they were treated as living documents, especially during lesson learned reviews or post-job analyses to improve operational efficiency and safety. However, only authorized people could revise SOPs; revisions also required agreement and approval from the PTTEPI sand control team. The SIMOPS document played an important role in the factory-batch completion operation because several activities had to be performed concurrently without compromising safety and quality. 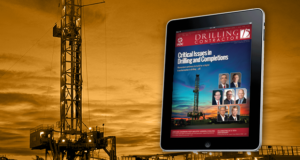 The concurrent tasks of well cleanup, zone change, production, hookup and commissioning of the completed live wells with the completion operation created several potential hazards. The SIMOPS document was developed to be a guideline, along with permit to work for onsite supervisors, for planning and evaluating groups of activities that can be performed simultaneously. 4. Limitations on pumping rate (e.g., inadequate fluid velocity to carry debris out of the well). 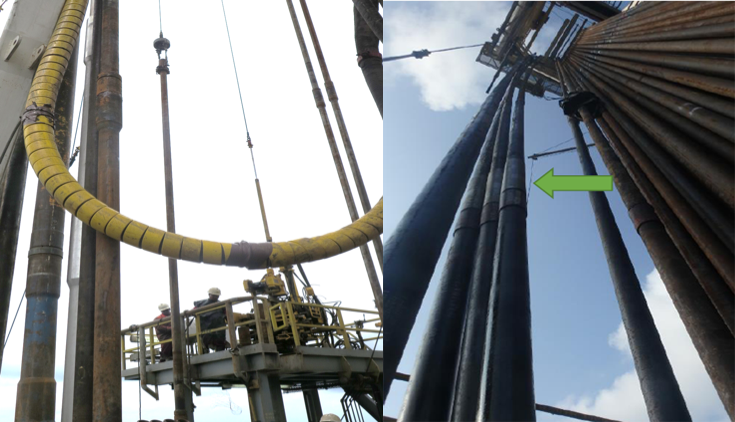 In Phase 1B, a new pipe dope procedure was implemented starting in the batch drilling phase in order to minimize excessive pipe dope left inside the casing. Extensive lab testing of various chemical formulas were also completed to find the optimum WBCO formula for Phase 1B. 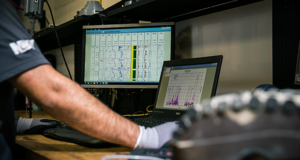 In addition, the actual WBCO tools testing and simulations in the workshop were performed to identify the most robust and appropriate tool for the WBCO operation, also a batch WBCO operation. This resulted in the average WBCO time being reduced to just 10.5 hrs. In Phase 1A, TCP guns were loaded and transferred to the rig floor one by one as a single gun, which was inefficient and time consuming. The TCP gun shelter implemented in Phase 1B not only helped the crew with continuous gun loading in most weather conditions, but it also allowed double guns to be loaded and transferred to the rig floor. The OAC crane was used to connect double guns into quad guns and be racked back in the derrick or put in the mouse hole, ready for operation. The radioactive marker sub also had a dedicated stand for rack back. This significantly minimized the average time for TCP operations, from 29.6 hrs in Phase 1A to 8.6 hrs in Phase 1B. Based on Phase 1A’s closeout investigation, an ineffective pit management plan and guidelines that prevented acid mixing during nighttime were identified as factors causing excessive time delays. In Phase 1B, both gel and base fluid for acid mixing could be mixed in the pit room and frac tank. Dedicated pits for each fluid type prevented fluids contamination. The LAS system was also used for chemicals mixing and storage to minimize space required in sack room. In addition, Tote tanks were used to store chemicals and acids on the deck. All of these practices decreased the average time for acid-pumping operations to 12.5 hrs per job, compared with an average 32.3 hrs per job in Phase 1A. One factor that resulted in significant operational efficiencies in the completion installation was increasing tubing and packer running speeds, after confirming with the contractor on design limitations on running or circulating around production packers. This ensured avoidance of the risk of swabbing or pre-setting the packer. Not only was the packer-running speed improved, but the packer assembly was also racked back by the OAC. Implementing the long seal assembly for longer acceptable tolerance (from 0.88 m to 2.3 m) reduced the spacing out time for matching with the spacing pup joint. 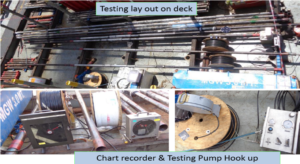 The tubing retrievable subsurface safety valve (TRSCSSSV) and its control line were connected and pressure-tested on the pipe deck. Setting the production packer by pressuring up against the completion string also saved time for rigging up the slickline operation on the rig floor. 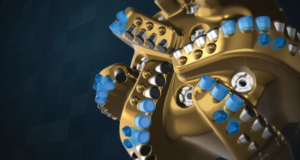 Not using base oil also reduced the complexity of displacement or surface rigging up. All of these practices decreased the average time for upper completions to 14.5 hrs per job, compared with an average 31.9 hrs per job in Phase 1A. Conventional well unloading for sand control is to displace the upper tubing section to base oil (0.87 SG) in order to achieve underbalanced condition. 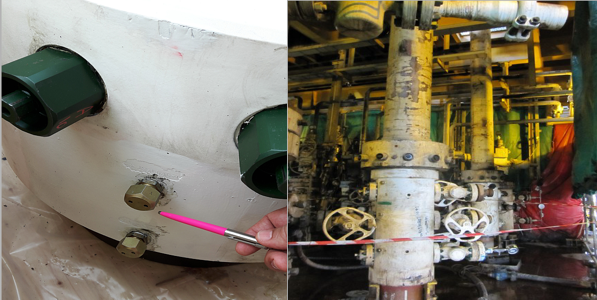 An alternate method to achieve a similar condition is to use adjacent well gas to inject into open SSD, creating a lighter fluid cushion to assist in broken fluid flowback from reservoir. The objective of well cleanup is to flow until no liquid is recovered at surface. 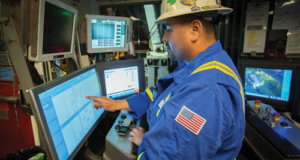 All of these practices decreased the average time for the well cleanup operation to 11.5 hrs per well, including gas injection time, compared with an average 67.6 hrs per job in Phase 1A. As mentioned, all slickline offline operations to support well cleanup were performed URF based on the SIMOPS document. The CBL logging was performed under rig floor, prior to moving the electric line unit on the rig floor for batch sump packer setting along with the WBCO operation. 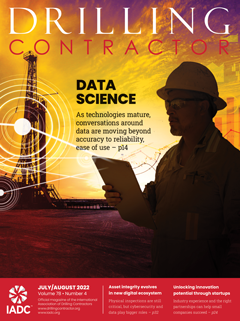 All of these practices decreased the average time for performing CBL logging under rig floor to 8 hrs per job, compared with an average 22.5 hrs per job in Phase 1A. The performance of sump packer setting was only 2.25 hrs, compared with an average 9.2 hrs per job in Phase 1A. The lesson learned process was a critical factor for continuous improvement, where all mistakes and successes were captured, shared and implemented where appropriate. On a long-term development project like Zawtika, lessons learned are critical to maintaining the learning curve. 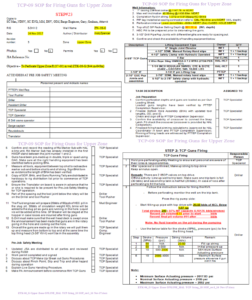 The operational post-job review and service quality meeting (SQM) noticed that safety observation card (SOC) records had plateaued. Normally, the minimum target is one SOC per person. The company directed another level of safety, responsibility and leadership commitment, and “You Seen It, You Own It” is now a project motto. The average SOC card and lesson learned submission has improved to 1.05 card per person per day and 1.03 lessons per person per day.